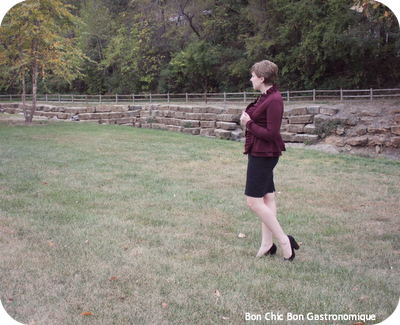 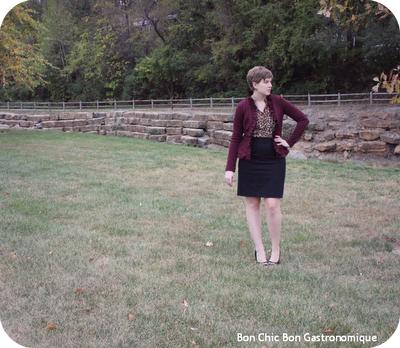 I’m taking on two of fall’s big trends with this one jacket today: burgundy (oxblood, maroon…whatever the heck you want to call it) and peplum. I saw it online at Target last week; as the deal of the day it was on sale for $20 with free shipping. 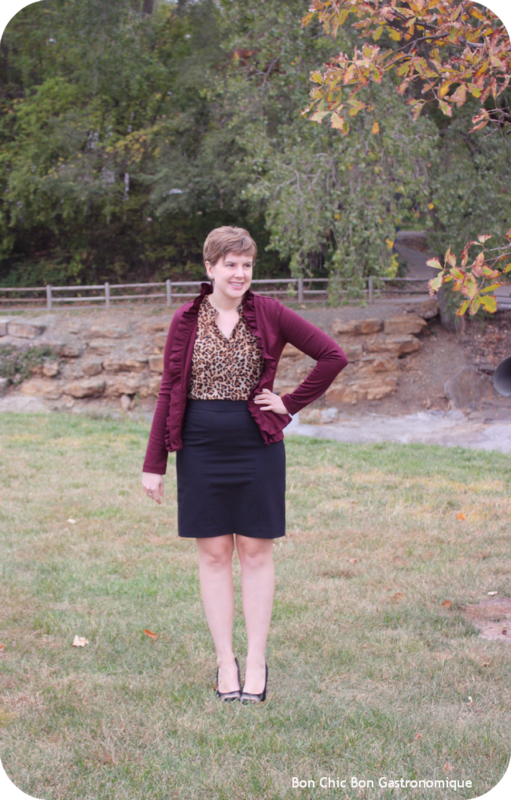 I wasn’t sure how wearable it would be, but I’ve already worn it twice in the short time it’s been in my closet. 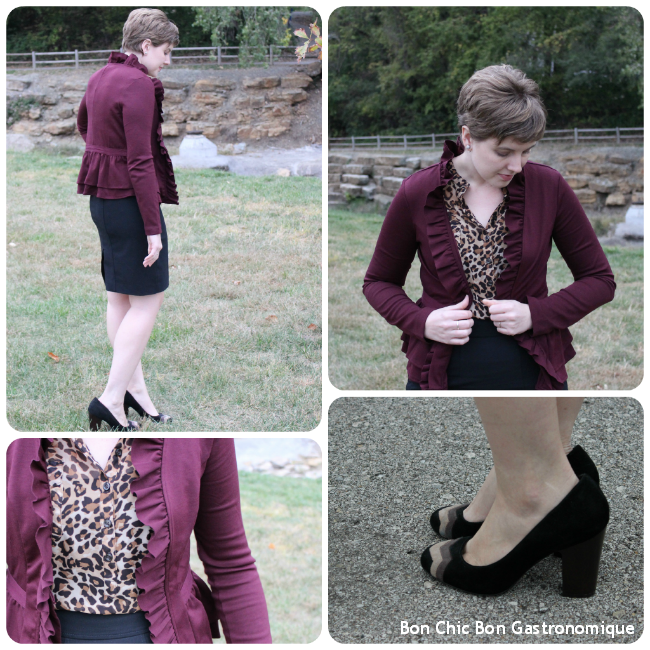 Today it made the perfect topper for my leopard blouse and black pencil skirt. What fall trends have you recently added to your closet?